THE sister of a Derry man who was shot dead by the INLA is appearing in a play which explores the devastating impact of barbarous paramilitary-style attacks. Maureen Wilkinson’s brother Emmet Shiels was killed when he was caught up in a confrontation with masked men on his pizza delivery run in 2008. Maureen is acting in a new play – Don’t Shoot My Wane, Shoot Me! 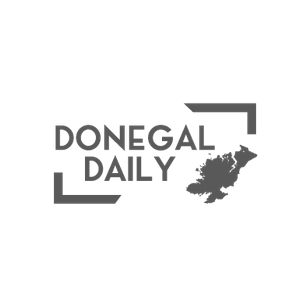 – that will be performed in community venues across Derry. The production tackles the culture of paramilitary-style attacks which are still taking place in Derry with several shootings and beatings this year. Maureen said the play is “very close” to her heart. “I didn’t even know if I could do it at the start, to be honest with you, but I thought it might help me,” she added. Emmet was delivering pizzas in the Creggan area of Derry in June 2008 when he was shot twice by masked gunmen after he tried to intervene to defend the gunmen’s intended target. Around 1,000 people attended a vigil in his memory near the scene of the shooting in the days after his death to show their solidarity with his family and disgust at his brutal killing. A report by the Independent Monitoring Commission said that the INLA was responsible. Gary Meenan was jailed for eight years in 2010 for manslaughter for his involvement in Emmet’s death. No-one else has been convicted of his cold-blooded murder six days before the birth of his son. “I haven’t been able to forgive the people that killed my brother and I don’t think I ever will, but I’ve had to leave that hatred behind,” Maureen said. The play follows a young man who is threatened with a paramilitary-style attack after being involved in the assault of an elderly woman. The action is dictated by the moderator – played by Maureen – and the audience hears the story from different perspectives, including the young man under threat, his mother and the man behind the paramilitary-style attack. The audience must choose by secret ballot whether the young man should be shot. For Maureen, the play has brought back painful memories, but it has also helped her. “His anniversary is coming up soon and this play has helped me to deal with it – I don’t feel as heavy,” she said. The play is run by the Shantallow Community Arts group based in Derry. The premise and script were developed through interviews with families and workshops with community groups. Ollie Green, the artistic director for Shantallow Community Arts, said he hoped it would start a debate about paramilitary-style attacks. “These young people who are victims are from our community but, equally, those carrying them out are from our community as well,” he said. “We are responsible for what happens in our locality. “It’s about starting a debate to come up with better solutions. The play, which is also being made into a short film, is being performed in venues in areas such as Galliagh, Creggan and the Bogside in Derry but Ollie said the issue was a wider one that affected more areas. “It could be any estate – it’s a reality for communities all across the north,” he said. “When I was growing up, I never thought these attacks would be happening today.